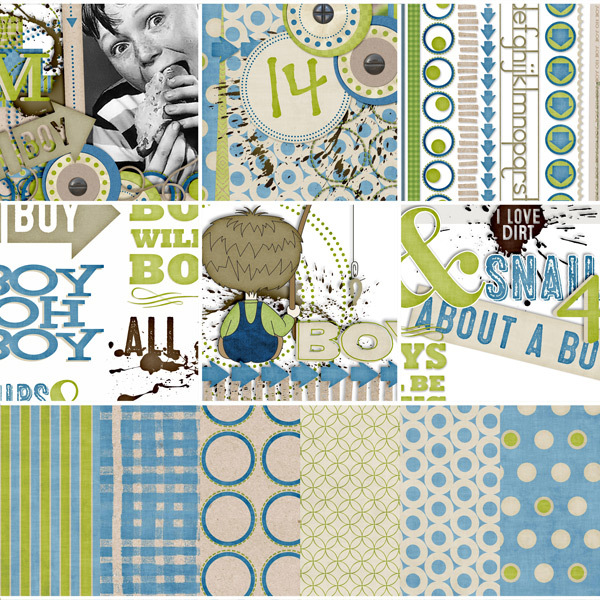 A rough and tumble collection full of boyish graphic elements and a touch of nostalgia. 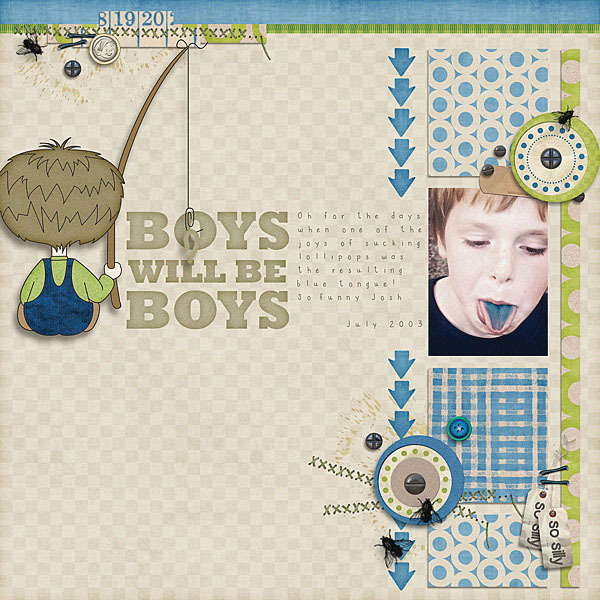 You will find a bundle of papers and embellishments well suited for boy themed layouts but also perfect for documenting everyday life and events. So versatile, you will find yourself turning to this kit for all of your memories. 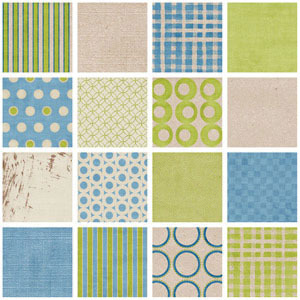 • (16) Background papers including patterns such as: colored linens, krafts, sketchy plaids, polkadots, stripes and more! • (3) 8.5X11 pages of coordinating embellishments including items such as: digital stamps, bandaid, borders, flair buttons, arrows, mud, screws, stitching, vintage illustrations and much more! • (1) Tag style alpha in blue with uppercase letters and numbers. (1) Green kraft style alpha with uppercase letters and numbers. • (1) 8.5X11 pages of coordinating Word Art. Includes: mud splatters, journaling title card, fun boy sayings and much more!